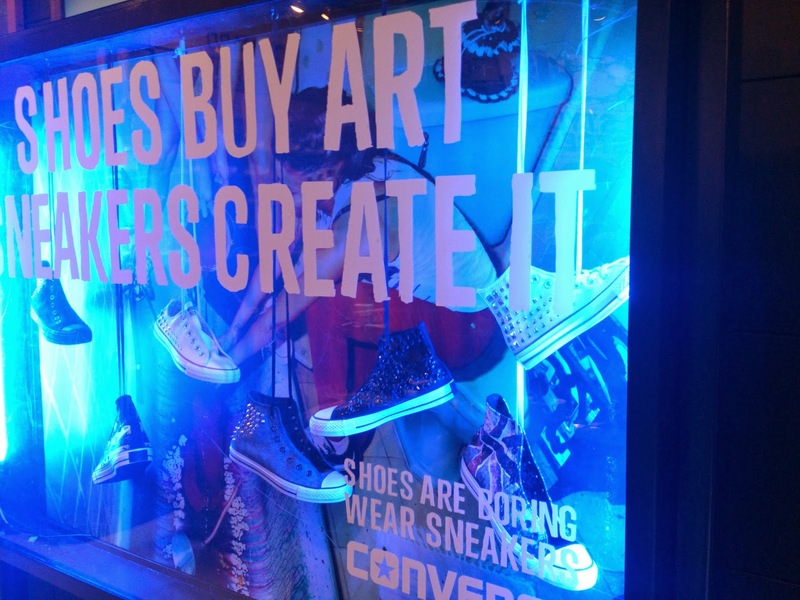 Punk Your Chucks, Bring on the Art and Bling. I have been a loyalist partner to my chucks for decades, as of this writing, and a proud owner of 5 Chuck Taylors in white, black, red, pink and now a newly bought dirty white pair, the sneakers that I love to go through all the facets of my life. I love it dirty, the dirtier the zanier, the fader the color the better, it gives me that kind of high. When I discovered that renowned Filipino komik book artists Kajo Baldisimo and Bow Guerrero of Trese and Dark Colony fame, respectively could do their komik wonders to my pair of sneakers by live painting it, then I decided it is time to bring on the art and make my pair a one –of- a -kind chucks that is exclusively handpainted by the duo. Converse Philippines recently had a tie-up made under the “Shoes Buy Art, Sneakers Create It” campaign of Converse, at their flagship store in Glorietta on September 21, 2013 to launch their in-store-customization area “Punk Your Chucks” that showcases how sneakers can be a natural medium to create wearable art. 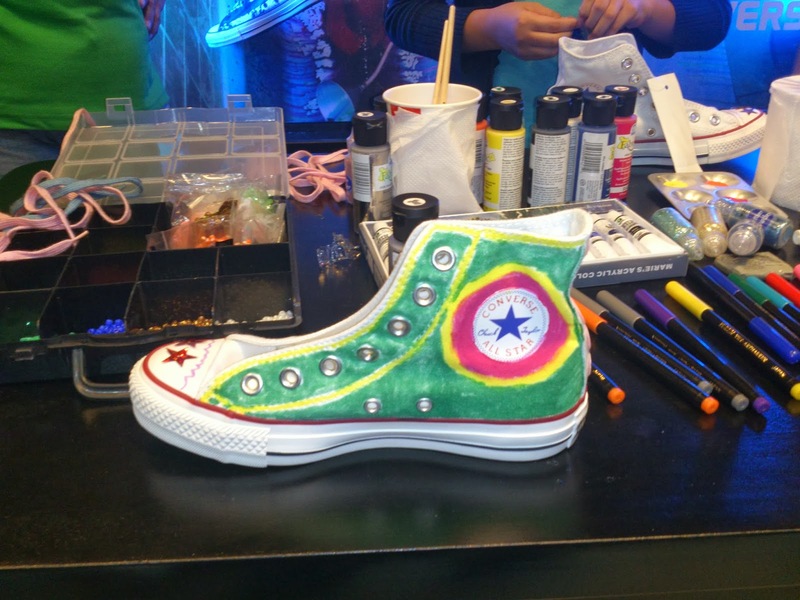 A customization area was set up at the venue, which allowed visitors and Converse enthusiasts to alter their shoes according to their taste. Markers, pens and even metal studs were on-hand to achieve that perfect punk rock vibe. Others Converse stores across the nation will soon be having their own “Punk Your Chucks” areas, where you can trick out your Chucks, Cons, or Jack Purcells- or if you don’t have a pair yet you can check out all the designs at the flagship store in Glorietta 2, Makati. 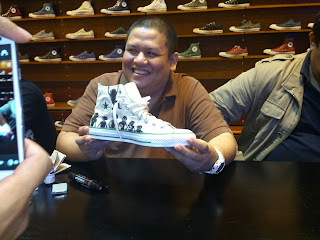 You can also check out the punk’d Chucks by the artists of Trese and Dark Colony in the flagship store now. 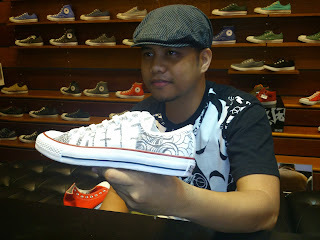 Log on to www.facebook.com/Converse Philippines for updates on the next event. 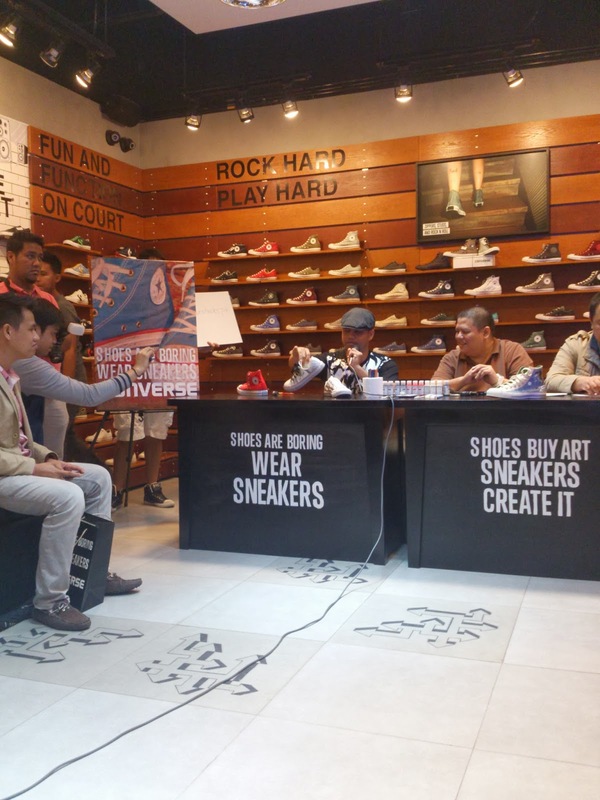 Labels: chuck taylor converse philippines, converse glorietta 2 flagship store phils, converse punk your chucks event at glorietta, trese and dark colony komik books, wear sneakers shoes are boring. 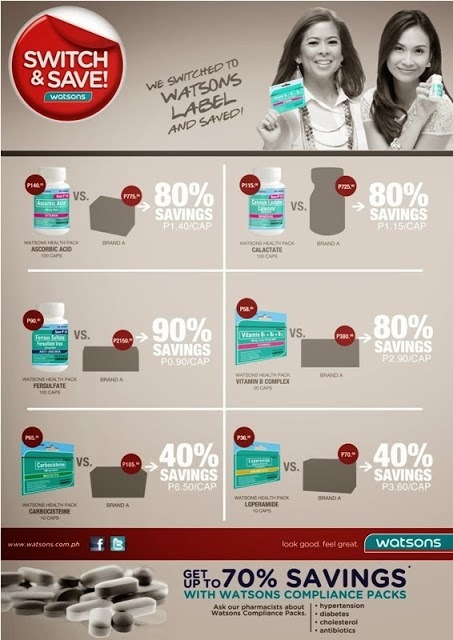 Watsons Switch and Save values. I have always been conscious about two things—health and budget. Because of this, I have always been on the lookout for “reasonably-priced” vitamins, and since I’ve worked in a hospital in the past, I’m a bit more mindful about potency and quality so I stay away from buying at just any pharmacy. Two of my more common purchases are vitamin C and Grapeseed vitamins, which I buy from Watsons since I made the “switch” last year. I’ve also been a very happy shopper as the more I visit Watsons, the more I discover new items that fit my weekly budget. My number 1 favorite is their Cosmo Skin that is now on sale at php500 off. Last week, I was fortunate enough to be invited to a Watsons event to introduce their new ambassadors for their “Switch and Save” campaign and learn more about their exciting products. With Watsons Label products, smart shoppers can get much-needed personal care items at a lower cost, allowing for hefty savings without comprising quality. Watsons offers a bevy of products under its own label, from toothbrushes to tissue paper and everything in between. A partnership with United Laboratories Inc. also allows Asia’s number one drug store to offer top-quality vitamins and medicines at wallet-friendly prices through Watsons Health Packs. Similarly, Watsons Compliance Packs bundle medicines for diabetes, hypertension, cholesterol and antibiotics up to 80% savings versus leading brands. The enormous value gained from Watsons Label products has convinced more than a few people to make the switch and save, including personalities like Tessa Prieto-Valdes and Patty Laurel. While Prieto-Valdes has discovered the efficacy and convenience afforded by Watsons medicines, Laurel finds that the number of trips she’s been going on has steadily increased ever since she made the switch to Watsons Label. This is thanks in large part to the savings she’s made on their wide range of essential vitamins and minerals. Joining a star-studded line-up composed of Divine Lee, Victor Basa, Tessa Prieto-Valdes, and Patty Laurel, the latest Watsons endorsers look forward to pushing the brand’s present movement to even greater achievement. Given its February 2012 beginnings, Watsons Switch & Save has exhibited increasing popularity over the past few months. Its escalating success comes from the thrust of helping the average Filipino shopper spend less on daily essentials, to splurge on things they love. “I think it’s great to be the face of such a campaign,” says Mikael. “Personally, I've always been value conscious and have always tried to be very efficient. That's similar to what Switch & Save is all about,” he adds. “In all my shows, I have a clean shaven look, so I shave almost every day. It’s a super essential in my case,” he says. Watsons has also changed the perception of many people as more and more shoppers are beginning to appreciate the benefits of the Switch and Save campaign. The savings made by switching to Watsons Label products can go up to 70 percent, letting customers save a significant amount of money on their day-to-day goods. Getting that shiny new laptop or gorgeous pair of shoes becomes a lot easier with the bargains made through the Watsons Label. Bio-Oil the Anti Ageing Miracle Oil. How Lara got her curves back and "stretchmarks” out. Back when I used to assist OB-Gyne’s in prepping up patients (both for normal delivery or caesarean section) at a tertiary hospital, a lot of the would-be mothers had three common concerns—deliver a healthy baby, regain their post-maternal figure and how to get rid of stretchmarks. Those nasty, annoying and dark stretchmarks that accumulate in the nine months of their pregnancy. The most common suggestion was a brand of cocoa butter that came in a small tube but all the raves about cocoa butter stopped because you had to apply it at the start of your pregnancy and not post pregnancy. Thus, new moms started a seemingly neverending search for a viable and safer alternative with the most frustrated ones even resorting to Tattoos to conceal those stretchmarks. And as actress and former Miss International 2005 Precious Lara Quigaman confessed, even former beauty queens are not exempted from this problem. After giving birth to her first baby Noah Lamar last November 10, 2012, Precious said besides working out to get her figure back, she was also researching for ways on how to remove her stretch marks. Thankfully, her search led to her discovery of Bio-Oil. “I started using Bio-Oil a few months back and I started to notice changes in just three weeks, and it was even my trainers who pointed it out and they asked me what I was using,” Precious told guests at the launch of Bio Oil held at the Edsa Shang-rila Hotel last September 18, 2013. Wearing an orange Grecian back-baring gown, Precious was a picture of confidence as she sashayed to the stage flaunting her slimmer and more flawless figure after being introduced as Bio-Oil’s brand ambassador. Besides Precious, several respectable OB Gynes from different Metro Manila hospitals, served as resource persons to explain how Bio Oil can help effectively lighten stretch marks and that expectant mothers can use it as early as their second trimestral to help prevent those dreaded dark lines. They also suggested that moms should avoid scratching their stomachs to prevent the striae that look like bands, stripes, or lines for occurring. Bio-Oil works thanks to its formulation of combined plant extracts and vitamins suspended in an oil base. It contains the breakthrough ingredient PurCellin Oil™, which changes the formulation’s overall consistency, making it light and non-greasy. This ensures that the goodness contained in the vitamins and plant extracts is easily absorbed. 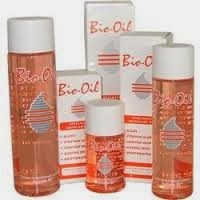 Bio-Oil is also effective against ageing and dehydrated skin. 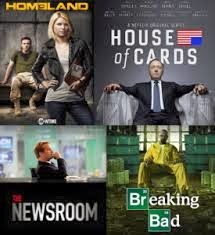 In recognition of outstanding contribution to the television industry, the Primetime Emmy® Awards bestows the U.S. television industry’s highest honors for national primetime and late night programming, with awards presented in 27 categories including areas of exceptional merit. This year's glamorous event will be hosted by Neil Patrick Harris. This year's ceremony is especially grand, as legendary solo artist Elton John will be performing for the first time ever on the Emmys® stage. The multi-awarded superstar’s performance will serve as a tribute to the late, world-renowned performer Liberace, whose HBO biopic, “Behind the Candelabra” is nominated for fifteen Emmy Awards this year. 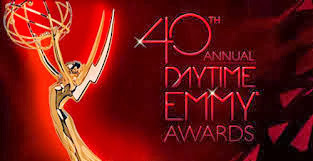 This year’s Emmys® is also bringing forth a well-loved list of presenters, including past winners, nominees and other A-list talents. Among those taking the stage to present the awards are Michael Douglas, Matt Damon, Sofia Vergara, Jimmy Kimmel, Alec Baldwin, Claire Danes, Anna Faris, Tina Fey, Amy Poehler, Bryan Cranston, Will Arnett, Margo Martindale, Gloria Delgado-Pritchett, Andre Braugher, Allison Janney, Kerry Washington, Diahann Carroll, and sisters Emily and Zooey Deschanel. Aside from all these, the “In Memoriam” segment will be presented in a unique new format this year. Close friends and co-workers will be paying personal tribute to five individuals from the TV industry, including Jane Lynch, who will remember her friend and "Glee" co-star Cory Monteith; Edie Falco, who will remember "Sopranos" co-star James Gandolfini; Michael J. Fox who will pay tribute to "Family Ties" producer Gary David Goldberg; Rob Reiner will pay tribute to his long time "All in the Family" cast member Jean Stapleton; and Robin Williams will remember his friend and mentor Jonathan Winters ("Mork and Mindy"). 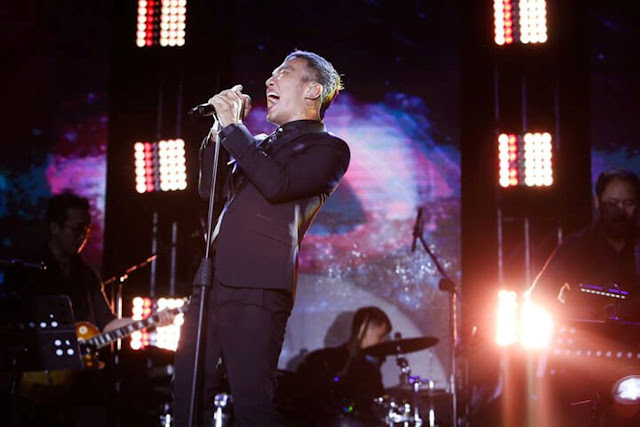 The 65th Primetime Emmy Awards, deemed one of the most spectacular events in the entertainment industry, will air live on Philippine television on Velvet (SkyCable channel 53) on Monday (September 23) at 8:00 a.m., with an encore telecast at 8:00 p.m. and replays on Tuesday (September 24) at 8:00 p.m. and Saturday (September 28) at 9:00 p.m. For updates, follow @VelvetChannel on Twitter and like www.facebook.com/VelvetChannel. Tastiest Ramen this Rainy Season at Tokyo Tokyo. 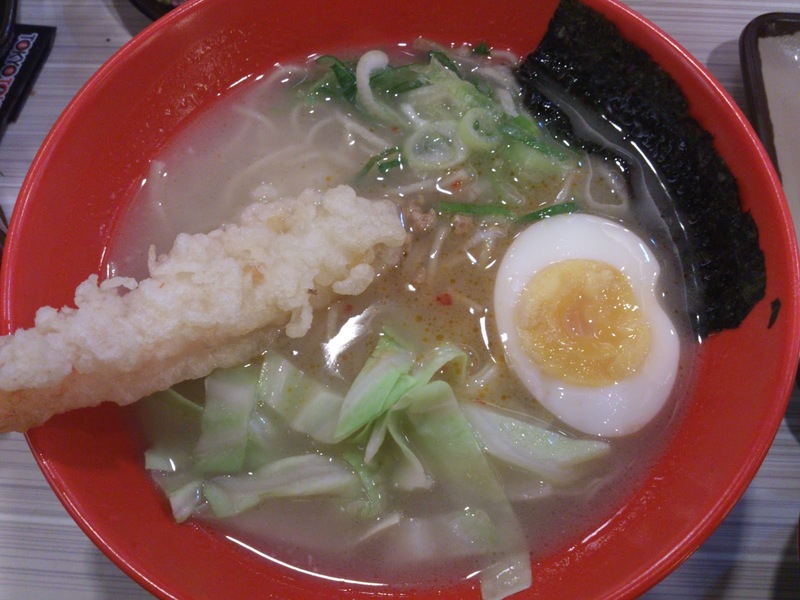 Ramen at its tastiest and affordable, now steaming at your nearest Tokyo Tokyo Ramen Bar. To bring customers the most authentic Japanese fast food experience possible, Tokyo Tokyo's Research and Development team worked closely with a Japanese ramen master, discovering ways to deliver authentic Japanese flavors. The end result was three exciting ramen flavors! 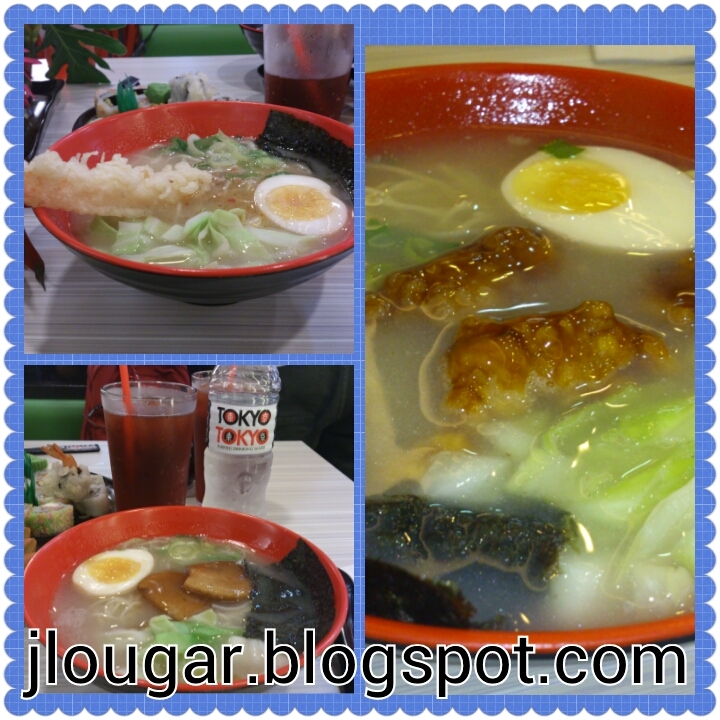 Braised Pork, Spicy Chicken and Tempura Miso- making their debut at the very first Tokyo Tokyo Ramen Bar in Trinoma. What delivers the best in ramen is its tonkotsu broth slow-cooked for at least 24 hours in Japanese hagamas, extracting every single drop of flavor from the base ingredients. Ramen noodles are freshly made, giving each mouthful just the right amount of bite. Premium quality toppings, such as pork cutlets, succulent chicken cuts glazed in a spicy-sweet teriyaki sauce, and delightfully crisp prawn tempura, serve as a focal point for other traditional flavors. 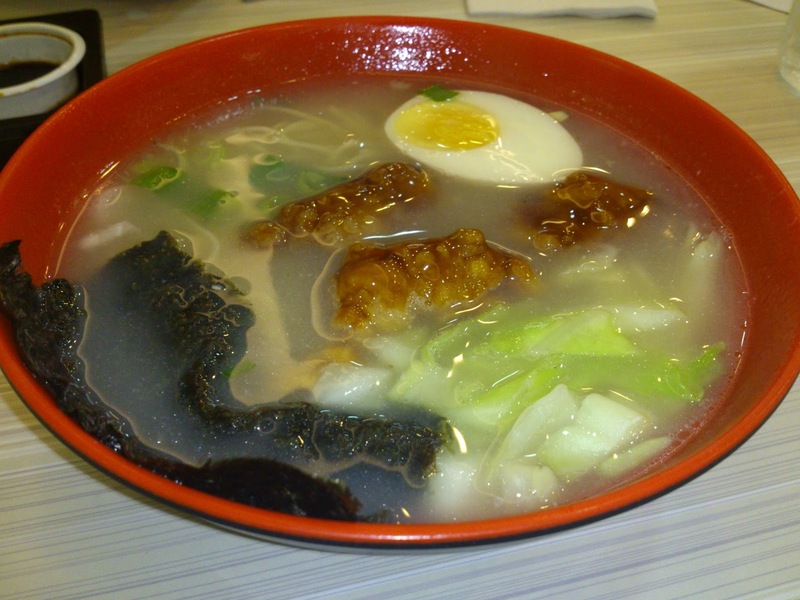 Customers can get their ramen at a fraction of the cost, compared to other restaurants: just 99php for a snack-sized bowl, and 150php for a full piping hot serving. Enjoy wallet-friendly prices for an authentic japanese ramen of your choice. Tokyo Tokyo Ramen bar is located at Trinoma; SM Southmall; Net Lima, The Fort; SM Megamall; People Support Ayala; Greenbelt; Market Market; SM Baguio; SM Fairview; SM North Edsa Annex; SM North Edsa Main. SM San Lazaro, SM Manila, Greenhills, Harbor Point Subic, Robinsons Pioneer, Ali Mall, Festival Mall, SM Dasmarinas, and SM Bicutan. Summit Books presented its first-ever 2013 Chick Lit Fest. 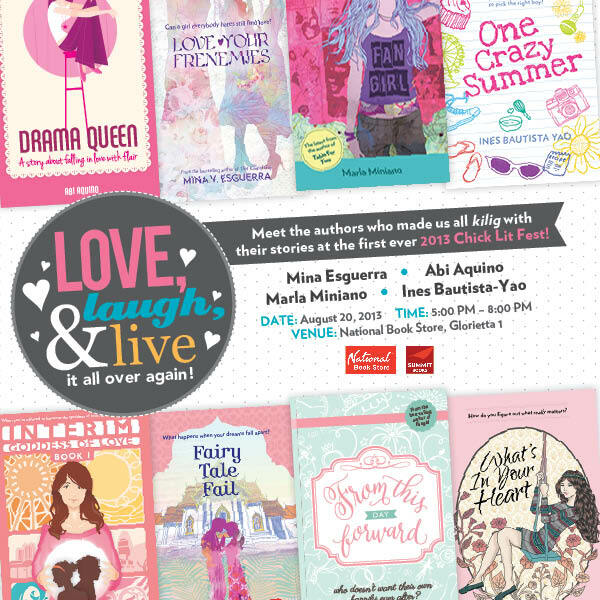 Summit Books proudly presented five of today's best-loved authors who made us all giddy with their stories at the first-ever 2013 Chick Lit Fest last September 4, 2013 at the National Book Store Glorietta 1. 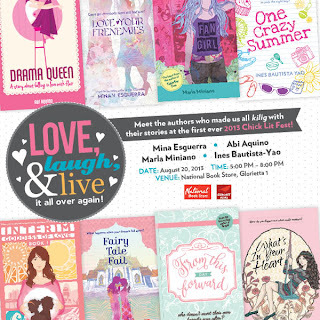 The fans and the media got the chance to meet the ladies behind the chick lits: Abi Aquino for Drama Queen, Mina Esguerra for Interim Goddess of Love, Ines Bautista Yao for What's In Your Heart, Marla Miniano for From This Day Forward, and Chinggay Labrador for the Popped Trilogy as they read their favorite lines from their books. The attendees of this event also got the chance to interact with them at the Q & A portion and had their favorite books signed during the autograph signing session. Celebrating its 10th year this 2013 with a limited edition 10th anniversary cover is Abi Aquino's Drama Queen. For more of Summit Books online, visit www.summitmedia.com.ph/books and become a fan on Facebook via Facebook.com/SummitBooks.